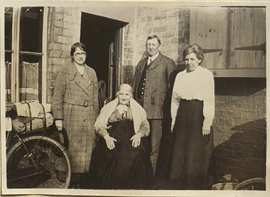 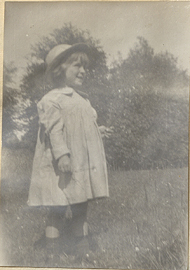 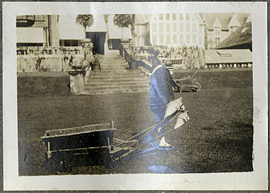 Johnnie Max-Muller with a cart or wheelbarrow, photograph. 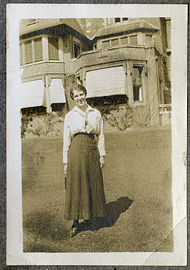 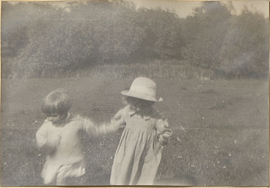 Kathleen Wylie and Wilder Penfield Jr., photograph. 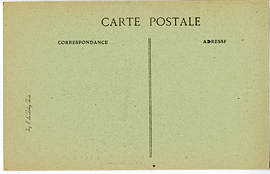 Kenilworth Castle from East, postcard. 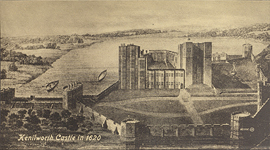 Kenilworth Castle in 1620, postcard. 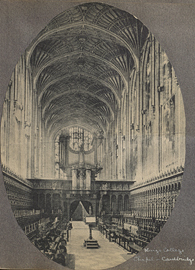 King's College Chapel - Cambridge, postcard. 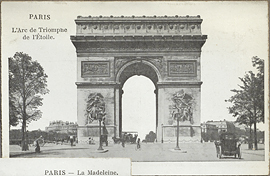 L'Arc de Triomphe de l'Étoile, postcard. 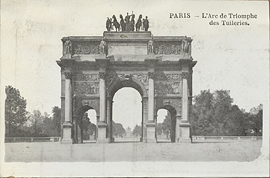 L'Arc de Triomphe des Tuileries, postcard. 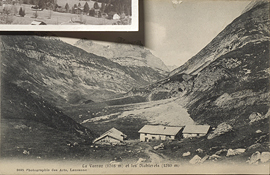 La Varraz (1765 m) and Les Diablerets (3250 m), postcard. 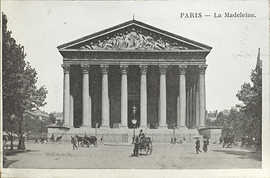 Laboratory of The American Red Cross Hospital of Paris, postcard (back). 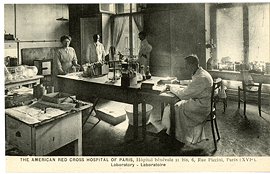 Laboratory of The American Red Cross Hospital of Paris, postcard (front).